171 Miles from Helsingor in Denmark to Skallkrokens Harbour in Sweden. If you read my last post you might remember that we didn't much like the Helsingor Camp site, but it went much further ↓down↓ in our estimation following spending the night there. Unfortunately, (but with no other choice) we'd parked with T4rdis2's back end about 5 metres from the tram line but we hadn't worried too much about it because we thought they'd stop overnight!! So as the skies darkened at around 11pm we toddled off to bed, but for me sleep was a very scarce commodity!! Not only did the trams run until 1.30am, but it also seemed as if someone had hidden a big fat sub woofer nearby and the duff, duff, duff noise that it produced went on well into the early hours, and when that stopped there were several loud bumps on the roof of the van as fir cones fell from the tree that we were parked under! Then, just before 6am the trams made every effort to shake us out of bed 😠😠😠 - do I sound like I'm complaining - cos I am!!! And as if all that wasn't enough, while we were preparing to leave John discovered bird sh poo splatted all over the back of the van and goodness knows what our roofs like 😠😠😠 - therefore we were more than glad to leave that place behind. Today was our day to reluctantly leave Denmark behind and cross over into Sweden - and to do this we had 2 choices. One would have been to use the ferry which was quite nearby, but the 3 mile trip across the Sound would have cost a little over £200 😓! 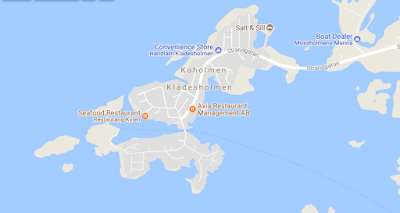 The other was to drive the long way around, down to Copenhagen, across the Oresund Bridge then back up the other side of the Sound to our parking place which was to be a Camper Stop at Skallkrokens Harbour, or if that was full, an ACSI campsite nearby. We chose the latter mostly because we needed to fill up with LPG gas, and although there are more places where it's available in Sweden than Denmark, the only one that John could definitely identify in the Southern region was at Malmo, just after entering the country. Additionally, the toll to cross was considerably cheaper at just over £100, but that's still the most expensive toll we've ever paid! The bridge's construction started in 1995 but it wasn't opened to traffic until 1st July 2000, and later still in 2002 it received an Outstanding Structure Award. However, all the way wasn't bridge! 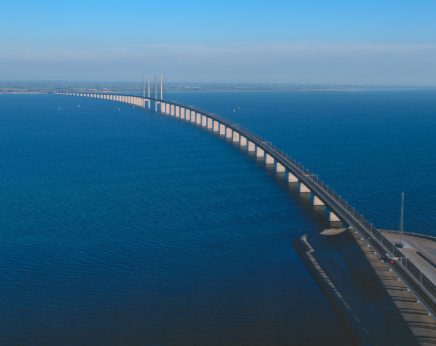 The first part of the crossing when you leave Denmark is via the Drogden Tunnel and this runs for 4 kilometres to the artificial island of Peberholm in the middle of the Sound. The bridge then takes over and completes an 8 kilometre section that landed us on the coast of Sweden, and although the toll was quite mega for us it becomes much cheaper if you make multiple crossings. From there, with the help of Mrs Snoopy it was an easy task to get our gas, and then we were heading for a pre marked parking area near a harbour near Helsingborg for lunch. We could have stayed there overnight for free with several other motorhomes, but the day was still quite young so we decided to press on to our planned goal which was near to the coastal town of Haverdal. And as we went I got to thinking about what we needed to get used to in this new (to us) country of Sweden. One thing would be the money, here they use the Swedish Krona or the SEK and it's worth about 11.5 SEK to the pound. Some of the other things Sweden is famous for include Abba, IKEA, Meatballs and Pickled Herrings, and apparently it is also known around the world for traditions like Fika - which is the art of catching up with friends over coffee and cake! However, there are also things that are less pleasant such as it's reputation for crime, high taxes for residents, mozzies and the strange government run stores that have a monopoly on booze sales at high prices! But to put things into perspective, the Swedish guide I was reading explained that as tourists we're more likely to encounter elk, crystal clear lakes, lots of brightly painted wooden houses, the midnight sun, and if we're really lucky, maybe the northern lights. It also went on to say that Sweden is home to some of the world's best free wild camping places so I think we might really like it here and possibly the 4 weeks we're planning to spend might just not be long enough. After just over an hours drive we approached our planned parking place which was Skallkrokens Harbour, but there were only 10 motorhome spaces all of which at first appeared to be full. However, we fell really lucky, because just as we arrived a German van departed so we jumped into their space which turned out to be one of the most idyllic we've stayed in for a very long time. We were right on the water's edge and it almost seemed as if everything was in slow motion! The sun was high over the bay, the waves were very gently lapping onto the shore and there were several paddle boarders and swimmers who splashed about in the water until late into the evening. 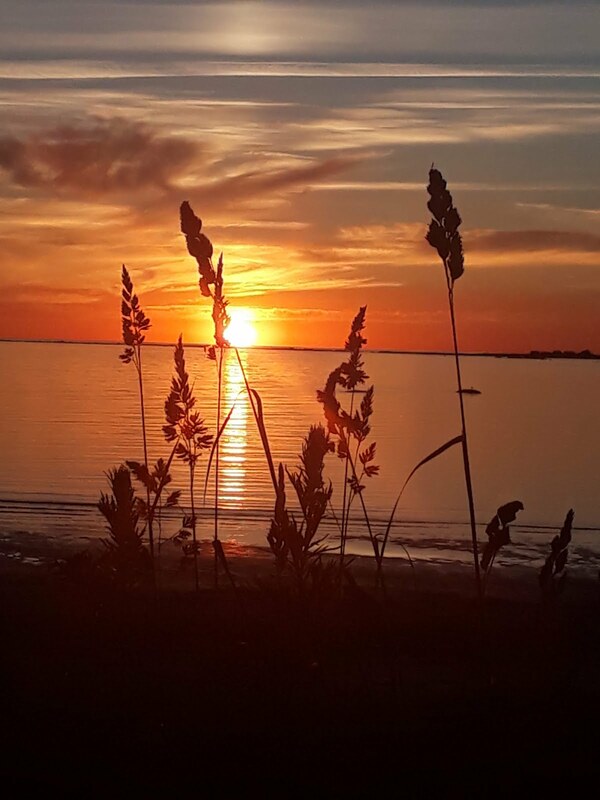 Eventually, at about 10pm the red orb of the sun sunk below the horizon into a watery grave, but it left the sky full of a multi hued crimson afterglow that lasted much longer, and the place is so tranquil I'm sure we'll sleep much better tonight. Captured by John's phone camera. We woke this morning to another idyllic day, so after sipping our tea in bed we got dressed and went outside to sip our early morning coffee in the sunshine (about 9.30 ish😂). The pace here remains very slow and as the waves gently lapped onto the shore a scene of peace and tranquillity filled us up. We really could have stayed and lazed all day but with so much to see and do in Sweden we decided to just stay for the morning and then to continue our journey around lunch time. So with that in mind I made a substantial frittata which we gobbled for brunch, and then we dallied about for a while longer. 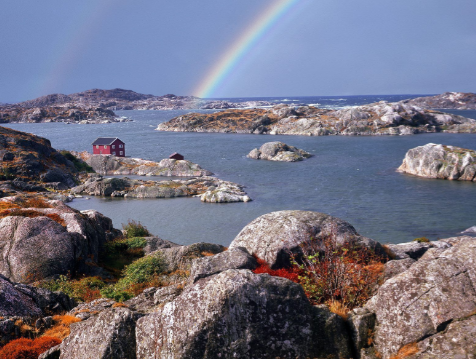 We eventually got going around 12.30 and our target for the day was Tjorn - a granite island that is Sweden's sixth largest, and one that is located in a labyrinthine archipelago of thousands of smaller islands and skerries. We reached it by crossing yet another impressive suspension bridge over the Stenungsund (but this one was free), and as our journey had been mostly along motorway it had only taken a couple of hours. However, when we arrived at the campsite we were quite lucky to bag a place because they only had 3 vacant, and within 10 mins of us being there the other two had also been filled. Tomorrow we're going to get our bikes out and explore more of this area on two wheels, but for today we just satisfied ourselves with taking a walk out of the back of the campsite and following a path that crossed numerous granite boulders and board walks before ending at an enclosed almost deserted coastal lagoon where we could sit on the rocks with our legs dangling above the gently lapping water. While looking out over this View. Today we set off to explore part of Tjorn on our bikes, but I must admit we were both slightly disappointed with our ride. I think we'd hoped to see more of the wild archipelago of granite boulders and sun kissed waters that this area is famous for, but by road much of that isn't really very accessible because the roads and paths just don't get that near to the water in many places, and when they do, the areas have been developed to accommodate lots of tourists participating in boating and swimming activities. Even our guide book suggests that the spectacular granite formations are best explored by kayak but I'm not quite sure I'd feel very safe in one of them. We left the site and headed for three little islands called Mossholmen, Koholmen and Kladesholmen and the narrow little road we were traversing along led us through lots of old wooden houses and eventually kicked us out at Inre Skapholmen. There we paused for a rest at the tiny but busy marina and watched people bobbing about on boats and also taking advantage of the surrounding boulders for sunbathing. Then it was a case of retracing our steps before continuing on to the settlement of Ronnang where Karevik beach can be found, and while we sipped coffee we watched both big and little kids using the diving boards to leap either feet or head first into the water. After that we progressed inland towards Lake Bo Tjarn but our way was barred by a locked gate, so we thought we might have better luck at Tolleby Tjarn but NO. So then we just wormed our way out of the forested area back towards Skarhamn where we were able to sit on another harbour side to partake of our picnic. And as we were eating we kept seeing people pass by with huge punnets of strawberries so when we'd finished we set off to seek the source - but alas, the last ones had been sold. However, the stall holder, who turned out to be a lad of about 12 who spoke perfect English pursueded us to buy raspberries instead - so that's tonight's pud sorted. Then all that was left was a short ride home and a bit more planning for another moving day tomorrow.